Bad Paint Job = Rising Surface Temperatures? | Watts Up With That? Bad Paint Job = Rising Surface Temperatures? After reading an excellent paper about the biases that have crept in to temperature measurements world wide titled: Unresolved Issues with the Assessment of Multi-Decadal Global Land-Surface Temperature Trends I decided to contact the main researcher. Today I had an extraordinary exchange with the senior climate research scientist, Roger Pielke Sr. from the University of Colorado. 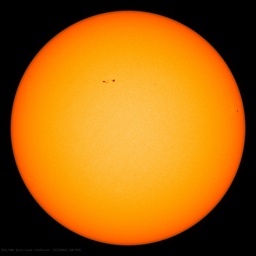 In this exchange, he expressed interest in some observations I’ve made about the state of temperature measurements used to create the climatic record set used in climate modeling. You can see the exchange here. In a nutshell, nobody seems to have experimentally investigated this issue I raised. Last year I posted an essay on the subject of paint and weather stations shelters at http://www.globalwarmingindex.com but the idea I’ve had goes back to the early 1990’s, and I haven’t experimentally investigated it either. 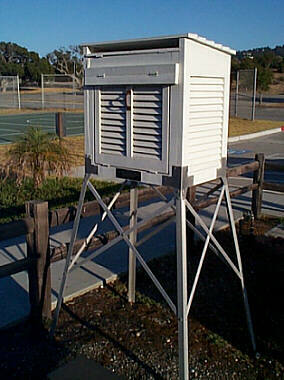 It seems that weather stations shelters known as Stevenson Screens (the white chicken coop like boxes on stilts housing thermometers outdoors) were originally painted with whitewash, which is a lime based paint, and reflective of infra-red radiation, but its no longer available, and newer paints have been used that much different IR characteristics. This means that the infrared radiated from the sun, ground, and nearby objects goes straight to the wood, heating it, and likley biases the thermometer inside the shelter. Whitewash was specifically chosen to paint the Stevenson Screens because it it had some reflective infra-red properties (note graph above). Yet you don’t read anything about this on repainting of weather shelters worldwide because there’s no maintenance record to correlate the painting, its been done "ad hoc" by local operators of the stations. So some researchers just shrug their shoulders and use the data anyway. And when those same researchers are looking for "warming signatures", often measured in tenths of degrees, I have reason to doubt the findings knowing the possibility that significant measurement bias that has crept in. Coupled with other documented biases, it is becoming clearer that the data collection methods used to get surface temperatures may be riddled with biases and errors. Well. its go time. I’m going to conduct an experiment, of all things, on paints, wood, and thermometer bias. I’ll be setting up controls, measurement practices, calibrations, and real-time data recording. It will be live on the Internet too as we watch different combinations of materials and how they react. And, I’m going to be visiting every weather station I can in California. My foray into climate modeling practice will have to wait, because if the data is biased or faulty, climate modeling then becomes nothing more than garbage in, garbage out. 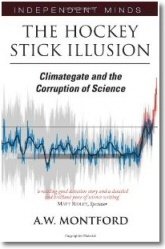 May 7, 2007 in Climate_change. I have a picture of the Grass Valley weather station. I will post on NC Media Watch. I also have pictures of the local air quality district weather station on top of a concrete building. I am very interested in your project. I am going to Truckee on Thur and was planning to take pictures of the weather stations. I also have pictures of one RAWS stations, and plan to take some more. I am comparing the RAWS temps with the weather stations in more urban sites. Looking to compare the temps recorded by the Air Quality District and compare with RAWS and COOP sites in Truckee, Chester, Loyalton, Quincy and Grass Valley where possible. Hope I can be of some assistance. Nice post and very interesting. are being replaced by plastic things with solid state thermometers. It is not supposed to be near a building. but perhaps after the change from whitewash to paint. Congratulations on making a very clever catch. 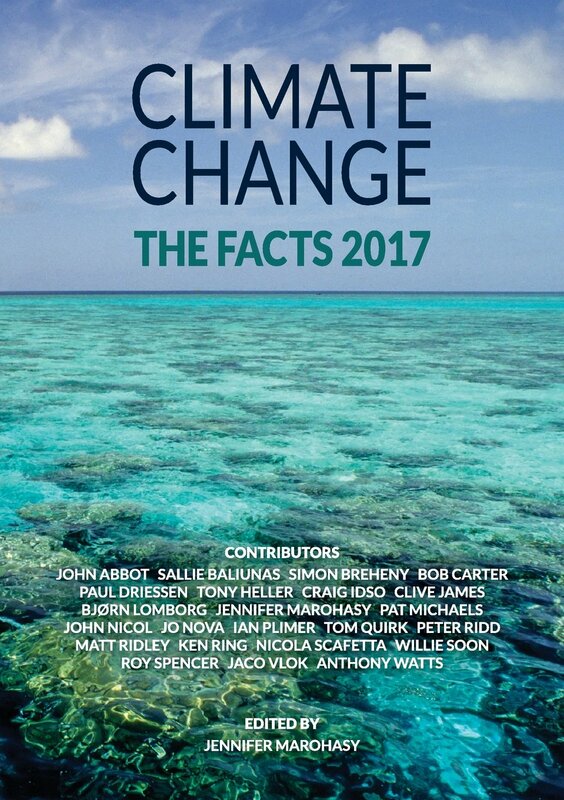 If this proves to be a true bias, and no one has accounted for it before, it is a very significant contribution to understanding the evolution of climate. May I suggest an appropriate experimental design you may not yet have considered? If a pair of monitoring stations equipped with identically constructed Stevenson screens were to be placed near (but not too near) to one another, and the upper painted part made detachable (perhaps to meet specification they would have to be sealed with duct tape) then swapping the upper parts of the Stevenson screens, leaving all else unchanged, should accomplish the test you need. I suspect that if you do find a difference it will be small, so you will have to run many days to establish significance. Swapping lids will be less difficult than any other procedure I can think of, and building the stations to proper specification in the first instance is probably a good investment. An experiment with small boxes will be unconvincing. I would be glad to offer my critical help, and perhaps more if you will contact me directly. Anthony – Congratulations! Looks like you have discovered gold in California. The implications of your research are potentially enormous. I think that you are going to make climate science history. I have a mate who was the copper at Marree, the hottest town in South Australia. It was the hottest because the Stevenson Screen was adjacent to a stone wall, there was no grass underneath the screen (only red dune sand) and sometimes, after a big night, the 7am measurements were taken at 9am with an adjustment factor based on how big the night had been. “…then swapping the upper parts of the Stevenson screens, leaving all else unchanged, should accomplish the test you need.” from Leigh Palmer is certainly a valid method of ironing out calibration issues with the sensors. He suggests swapping the lids. It may be more expensive and slightly more complex to build, but the screens should be constructed with the entire set of four walls and lid being de-mountable and these whole external units should be swapped. Also, not being a statistics whiz, I wonder if several pairs of screens should be constructed at the site as part of the experimental process. Also, after the experimental method is finally decided the whole experiment should be run across a wide geographical area. Anthony, I believe the main purpose of the white paint is to reflect the solar spectrum ~.25-2.5 microns centered in the visual band at .55 microns. For materials that don’t transmit than 1-emissivity = reflectivity. Noting that your plot is emissivity vs wavelength implies that the reflectivity is relatively low in the 5-50 micron spectral band. Which is not the solar spectrum region but does contain the LWIR transmission window (~8-12 micron) to the sky. I have seen coarse emissivity numbers of .8-.9 for wood in this spectral band, very similar to emissivity numbers for CaCO3. I discovered your website over at Climate Audit and will continue to follow your efforts as I have a personal interest. I was borned and raised in Chico and graduated from CSU Chico and still have family in the area and this site is like old home week. Good article. Misplacement and poor maintenance of shelters is often an overlooked contributor to temperature variations. The Stevenson Screen in Reno is on the corner of a major intersection (Kietzke & Moana) that has become increasingly congested over the years. The added heat load from traffic alone coupled with a fresh coat of non-spec paint should be expected to do what?? I’ve been told that the actual number of monitoring stations has also been reduced, and global maps of those that remain seem to be concentrated in or near areas of increasing population. Phil B’s post re:paint is well stated, but the bottom line is that changing paint, or materials, is going to skew the data, no matter how well planned or intended. Hello. Very interesting website. Keep up the outstanding work and thank you. As one who, half a century ago took the daily high, low and wet bulb depression for a site in Trona, CA, I must confess to awe at the geniuses who can take those readings and come up with a 0.6 degree difference. Slide rule accuracy comes to mind. I was especially impressed when I heard that the readings had been corrected for the urban heat island effect. Good old M-1 pencil has improved lots of scores through the ages. I have been doing some more research on thermal conductivity of wood. I can’t find a specific study thats considers temperature variation in a protected environment (stevenson screen) driven by heat conducted through wood. In general, wood is very poor conductor of heat which is probably why the stevenson screen was orignally made of wood. At SG of 0.35 and 12% moisture content, I calculate the thermal conductivity (k) at 0.6 (for Fahrenheit). This compares with k of 26 for steel and 144 for aluminum. However, moisture content can change the conductivity and also temperature has an effect. See this compilation study from 1977 http://www.fpl.fs.fed.us/documnts/fplgtr/fplgtr09.pdf. I will search some more and try to come up with a reasonable calculation for the temperature effect of heat conducted through the wood structure to the protected testing environment. Then changes in moisture content of the wood, frozen wood, and exterior temperature effect be evaluated. If the heat conductivity through wood is shown to be insignificant in all cases, then so will the effectiveness of the reflective paint surface. I believe the weather stations can provide interesting information, but only at slide rule accuracy. As soon as you start applying correction factors you are lying to yourself. What is the effect of urban dust deposition on the IR reflectivity of whitewash? The fact that it is transparent in the visible range does not mean it is so in all across the spectrum. Is there a log kept of the cleaning and repainting of the stations? Were there any tests performed in an urban environment about the effect of atmospheric grime deposition on the stations?